Episode 50 is here! 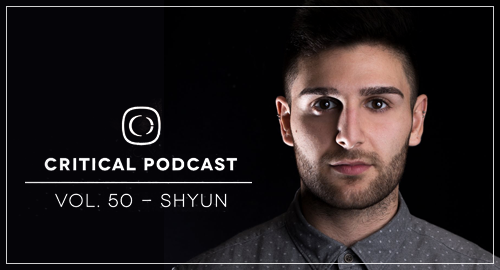 A milestone for the podcast series and what better way to present it by getting fresh blood Shyun on the case. With his new EP out now on the Critical Systems series its a good opportunity to get to know the newest talent on the Critical roster. Plenty of new music to wrap your ears around. Enjoy. Keep It Critical!